The OCD Center of Los Angeles has been providing quality care services to patients in the local community since 1999. The center was established to assist in addressing the concerns associated with obsessive-compulsive disorder and has since expanded to offer treatment services that cater to those patients who are experiencing certain types of mental disorders, including anxiety. The company is now able to treat a large number of conditions and operates a total of five facilities throughout the state of California. In addition to providing effective treatment options to their patients, the OCD Center of Los Angeles also has a number of useful resources available to all patients. 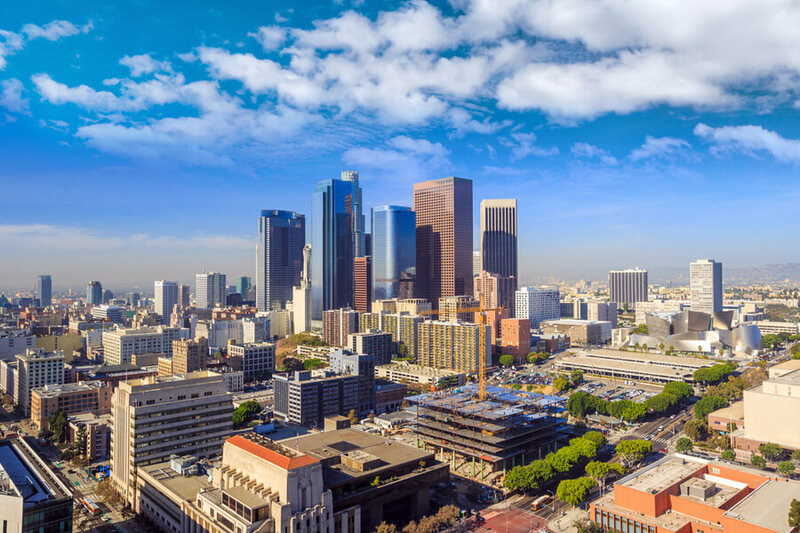 Patients should understand that no accommodation or housing options are available to them if they are treated under any program at the OCD Center of Los Angeles. All services provided at this company are outpatient-based treatment programs. Individual therapy that includes one-on-one sessions with a therapist plays a big role in the treatment services that are offered at the OCD Center of Los Angeles. Some patients may also find that they are invited to attend group meetings. Additional family counseling services are also offered to those patients and families who need to restore their bond with one another. Patients are responsible for the payment of their bills issued to them by the OCD Center of Los Angeles. As far as we could note, bill payments need to be made immediately or shortly after the patient has utilized any of the services that the facility is able to provide them with. It should be noted that the OCD Center of Los Angeles does not accept any type of insurance policies or programs. Patients will not be able to undergo treatment for their anxiety disorders or obsessive-compulsive disorder at the company through the use of an active policy with an insurance provider. Patients who are in need of financial assistance have no guarantee of being helped but may contact the facility to determine if they are able to make appropriate arrangements for the payment of the services they require. While credentials is an important part of the process patients tend to follow when they are trying to decide which rehabilitation center they should opt for when they are in need of recovery services for mental health concerns, we could not find any data related to the credentials that are held by the OCD Center of Los Angeles. No details were provided on any type of accreditation from facilities such as the Joint Commission or CARF are shared on the company’s official website, and there are no details regarding the licensing status of the company. Patients should get in touch with the facility if they wish to verify the credentials of the OCD Center of Los Angeles before they are admitted for treatment. Amenities offered to patients at the OCD Center of Los Angeles are very limited since the company only specializes in the utilization of outpatient programs. Even though the official website that represents the OCD Center of Los Angeles is very cluttered and limited on the data provided, we did find that the company has ensured they have up-to-date information of all staff members who are involved in the operations conducted and provided by the facility. Thus, all patients who are interested in being treated through the services offered at this company will be able to gain a comprehensive overview of their staff members before they have to decide whether or not they wish to opt for one of their treatment programs. Tom Corboy founded the OCD Center of Los Angeles and had since been operating at the center as the executive director. He has a Master’s degree, and Tom is a graduate of the USC Department of Counseling Psychology. Tom mainly focuses on the treatment of social anxiety, obsessive-compulsive disorder, panic disorder, trichotillomania, dermatillomania, and body dysmorphic disorder. Laura Yocum is a Licensed Marriage And Family Therapist. She has a Master’s Degree in Marriage and Family Therapy, as well as Credentials in the provisioning of School Counseling and Pupil Personnel Services. She is a graduate from the California State University at Northridge. John Tsilimparis has a Master’s Degree in Marital and Family Therapy. He is a graduate from the Phillips Graduate Institute. John primarily specializes in the treatment of anxiety and obsessive-compulsive disorder. He also had previous experience as a chemical dependency counselor.